Jazlowiecki & jazlowiecki has been protecting the rights of the severely injured since 1974. Over our four decade span we have developed invaluable affiliations with talented Plaintiff Litigation Law Firms all over the country. 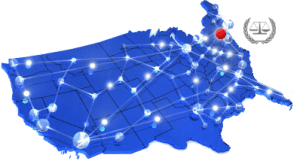 We have worked with firms all over the United States from Maine to Florida, from Washington State to Washington D.C., from Illinois to Texas. Presently, we are working with a New Jersey firm on Multi-District Litigation for the Propecia Lawsuits against Merck, makers of the hair-loss drug. trails are expected to start in late 2016. Jazlowiecki & Jazlowiecki is currently handling Mesothelioma and Asbestosis cases, and is working with an Illinois firm on these matters. Similarly, we are working with a firm form Alabama on several Medical Malpractice cases. Jazlowiecki & Jazlowiecki is working with a Texas firm in the litigation of multiple Mass Transportation accidents, where Texas was chosen as the venue. Jazlowiecki & Jazlowiecki has been located in Bristol, Connecticut for over 40 years. It’s firm members are admitted to practice to Connecticut, New York, Maine, New Hampshire and Washington D.C. 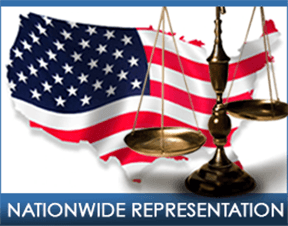 Through our affiliations with firms from all over the United States, we have handled cases all over the country and Canada.